Ever since I stopped eating chocolate (it makes my tummy hurt), I have been on the lookout for delicious alternative-to-chocolate desserts. This cake fits the bill! Artie (who is nice enough to eat his M&M’s when I’m not around) adapted his chocolate Kahlua bundt cake into a butterscotch bundt cake. 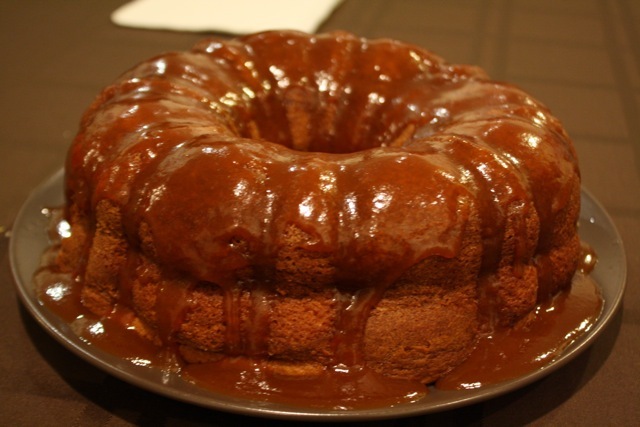 I made a caramel sauce to pour on top of the cake but it wasn’t the best ever. The cake recipe on the other hand is definitely worth sharing. The base of this cake is a boxed cake mix (I know, we usually like to cook from scratch but every once in a while a dressed up box cake is the way to go). 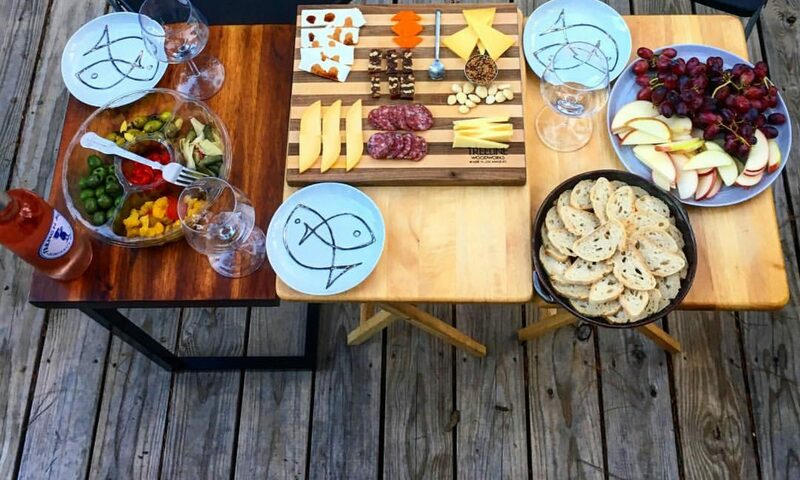 We served this to friends and they loved it. I’ ve included the original chocolate Kahlua cake recipe for my chocoholic friends. Happy baking! Put all ingredients in a bowl and mix thoroughly with an electric mixer. Pour batter into a greased bundt pan. Bake 45 to 50 minutes at 350 degrees. Cool. If you want, top with butterscotch or caramel syrup. Put all ingredients in a bowl and mix thoroughly with an electric mixer. Pour batter into a greased bundt pan. Bake 45 to 50 minutes at 350 degrees. Cool. Sprinkle with powdered sugar.